"One episode simply melts away as the next takes over" (The New York Times) in this deliciously sinister turn-of-the-century tale of a French evil genius run rampant. Three appalling crimes leave all of Paris aghast: the Marquise de Langruen is hacked to death, the Princess Sonia is robbed, and Lord Beltham is found dead, stuffed into a trunk. Inspector Juve knows that all the clues point to one suspect: the master of disguise, Fantômas. Juve cleverly pursues him in speeding trains, down dark alleys, through glittering Parisian salons, obsessed with bringing the demon mastermind to justice. 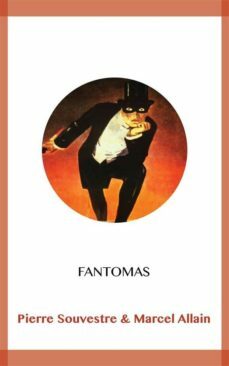 As thrilling to read now as it was when first published in 1915, Fantômas is not a puzzle but an intoxicant” (The Village Voice).